What degrees did members of the Class of 1852 receive from the University of Pennsylvania? Of the thirty six men who were members of the Class of 1852 at one time or another, twenty-one received their A.B. degrees from the College in 1852. Three of these graduates (Carpenter, Mitchell and Wells) went immediately into the Medical Department to earn their M.D. degrees from Penn. Messchert earned his Penn law degree in 1854 and Lee later returned to earn his Ph.D. in 1878. Two of the fifteen individuals who left the College before graduation later returned to earn advanced degrees. Suddards left the College after his freshman year to enter Penn’s Medical Department, earning his MD degree in 1853. 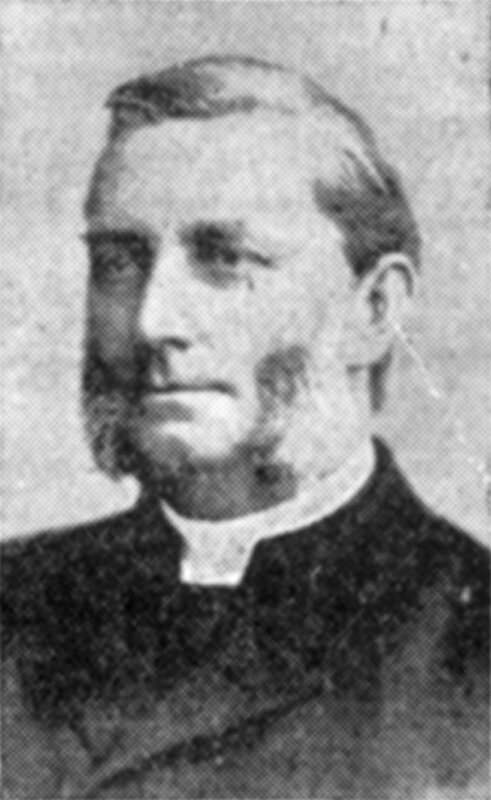 Harris earned his Doctor of Divinity degree in 1886. When students left before graduation, what did they do? Twenty-three members of the class entered as freshmen in 1848; seven came to the College as sophomores, and six arrived as juniors. Fifteen members of the class did not graduate. Two students, Henry Clifford Cave and James Bayard Hodge, died during or soon after their College years, James Bayard Hodge in 1850 and Henry Clifford Cave in 1852. Thirteen others left before graduation, most to continue their education elsewhere. At the end of freshman year, there was only one defection; Swaim left to attend West Point. After the sophomore year, however, the class lost nine students. Hodge died and Cave left because of ill health. Four young men continued their studies elsewhere. Suddards switched to Penn’s Medical Department to earn his medical degree. Hewson left to study pharmacy, but later became secretary of a number of companies associated with the Pennsylvania Railroad. McKeen and Sample transferred to Lafayette College. McKeen went on to engage in the manufacture of cotton; Sample would later become a surgeon after attending Jefferson Medical College. Only three, Bache, Benson and Lewis, did not continue their studies. Bache would have a long Navy career, rising to Paymaster and Inspector in the U.S. Navy. Benson became a banker, but little is known of Lewis’ later life. The last five students to leave the class did so after their junior year. The Appleton twins left to attend Virginia Theological Seminary, and were later ordained as Episcopal priests. Harris and Ripka would attend the College of New Jersey (now Princeton University); Harris later became an Episcopal clergyman in Philadelphia and Ripka became first a cotton manufacturer and then a miner and smelter of iron. Himes would become a druggist after graduating from Jefferson College; he died in a train accident in 1862. What were the occupations of the members of the Class of 1852? Many graduates and some non-graduates joined the traditional professions of law, medicine and theology. Six members of the class became attorneys, nine entered the field of medicine, and four were clergymen (three Episcopalian and one Presbyterian). Lawyer Richard Ludlow served in the Pennsylvania legislature in 1863. Others in the Class of 1852 became involved in scientific, business and financial pursuits. Alumni of this class included a pharmacist, a banker, and a merchant (later an insurance manager). Five men were industrialists, concentrating on cotton or woolen textiles, iron and railroads. William Biddle, mining engineer, succeeded his father as Secretary of the Lehigh Coal and Navigation Company; Andrew Ripka joined the family cotton mills in Manayunk. Other occupations included noncombatant service in the navy and the teaching of mathematics and of chemistry. The physicians in this group often wrote and edited scholarly medical articles; Asch and Lee were particularly prolific in this area. These doctors also became leaders of their medical association. 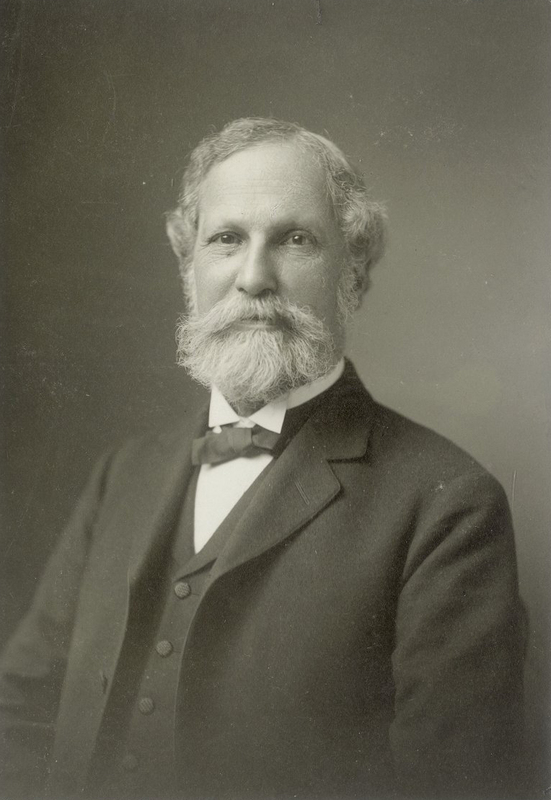 Asch, who practiced in New York City, was a founder and then, in 1893, president of the American Laryngological Association; Carpenter became president of Schuylkill County Medical Society; Benjamin Lee became president of both the American Academy of Medicine and the American Public Health Association. Benjamin Lee, who had an MD from the Medical College of New York as well as a Ph.D. from Penn, served as Secretary to the Pennsylvania Board of Health, and in this role supervised sanitary and medical service for Johnstown after the 1889 flood. How did this class participate in the Civil War? At least sixteen members of the class served in Union forces during the Civil War. Some bore arms, some ministered to the wounded, and some kept the troops supplied. Considering the prominence of Penn’s medical school, it is not surprising that at least seven of the nine physicians among the Class of 1852 performed medical service during the Civil War. Asch served in the Army longer than any of the others, entering as an assistant surgeon in the Surgeon General’s Office, August 1861, and rising to the rank of major before his discharge in March of 1873. During the Civil War, Asch became surgeon-in-chief and then medical inspector of the Artillery Reserve of the Army of the Potomac, medical director of the 24th Army Corps, and medical inspector of the Army of the James. He ministered to the wounded at sixteen battles, including Chancellorsville, Gettysburg, Wilderness and Appomattox Court House. After the war he served as staff surgeon for General Sheridan until 1873. Mitchell served as an Army surgeon from 1861 until 1866, rising to the rank of Lieutenant Colonel. He served with 18th Pennsylvania Regiment Volunteers, and then the 8th Pennsylvania Calvary US Volunteers, before becoming Surgeon-in-Chief, 2nd Brigade, Cavalry Division, Army of the Potomac, assigned as Surgeon in charge of Cavalry Corps Hospital, City Point, Virginia. Both Asch and Mitchell were breveted for gallant and meritorious services in the field. Carpenter and Sample served as US Army surgeons in non-combat areas. Carpenter served in 1861 and 1862 with the Pennsylvania State Troops, the 5th Pennsylvania Reserves Regiment, and then as a Brigade Surgeon US Volunteers, and finally as medical director of the Ohio District. Sample started as an assistant surgeon in 1861 and rose to the rank of major by the end of the war; he was stationed in Fort Porter at Buffalo, New York, and in Oregon. Closer to home, from 1862 through the end of the war, Dunglison and Norris were Acting Assistant Surgeons in the US Army assigned to hospitals in the Philadelphia area, including Mower, McClellan and Filbert Street hospitals; Dunglison served as Executive Officer at the Filbert St. Hospital, in 1864 and 1865. Lee was a surgeon with the New York National Guard in 1862 and 1863. Nine other members of the Class of 1852 also served in the US Army during the Civil War. One was killed and two others severely wounded. Major Taggart served with the Second Pennsylvania Calvary from 1861 until he died of of wounds received in fighting in Bealton Station, Virginia, during the summer of 1863, in the aftermath of the Battle of Gettysburg. Lieutenant McKeen volunteered in the 118th Pennsylvania Regiment in August of 1862, only to be severely wounded in battle at Shepherdstown, West Virginia, the next month; he was honorably discharged for disability the following March, and died in 1872. Captain Ripka, 119th Pennsylvania Regiment, US Volunteers, also enlisted in August of 1862 and was honorably discharged for disability the following March of 1863. Three others saw considerable combat service. Biddle enlisted in December of 1861 and served as a captain on staff of General McClellan until April 1863. Lockwood volunteered in 1861 as a lieutenant in the 6th Pennsylvania Calvary, rising to the rank of major before he left the service in 1864. Rosengarten began his service in 1862 as a lieutenant and rose to the rank of major in the 121st Pennsylvania Regiment, US Volunteers. At the Battle of Gettysburg, he was on staff of General John F. Reynolds, who died in his arms on the battlefield. The others served in different capacities for varying lengths of time. Duhring and Hutchinson had the shortest stints as soldiers, just three months for each as reserve volunteers in the summer of 1861. Bache did similar short volunteer service in 1861, but later became a longtime officer in the Navy, beginning as an assistant paymaster in 1862 and rising to pay inspector by his 1894 retirement. Did everyone in the class remain in Philadelphia? Most of these alumni settled in Philadelphia, but a few settled elsewhere. Asch became a prominent physician in New York City; Carpenter settled in Pottsville. And Joseph Engles Sample rose to the rank of major in the US Army, serving in station throughout the western territories before his 1872 death at Fort Vancouver. Travel in Europe was not unusual for these young men, sometimes for study and sometimes for pleasure. The Appleton brothers spent a year in Europe before entering the seminary, while others (like Brinton Coxe, Norris, Rosengarten and Wells) took the grand tour after finishing medical or law school. Messchert left for Europe with his bride the day after their 1856 wedding and remained abroad for some years. After Lee graduated from medical school he traveled to the continent to further his medical studies, walking the hospitals of Paris one winter before studying obstetrics in Vienna. Norris returned to Europe to study chemistry in 1856. Norris and Hutchinson spent considerable time in Europe; Hutchinson died in Paris in 1902 and Norris passed away in Florence in 1918. What role did the Class of 1852 play in civic affairs? The members of the Class of 1852 were active in civic organizations, often retiring from their professions to devote themselves to these interests. 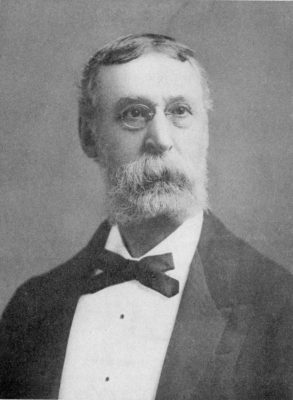 Many were involved in Philadelphia’s Academy of Natural Sciences and the Historical Society of Pennsylvania, where Brinton Cox served as president. Richard Dunglison served as president of the Musical Fund Society and Charles Hare Hutchinson as President of the Athenaeum. Both Isaac Norris and Joseph Rosengarten were elected to the American Philosophic Society. 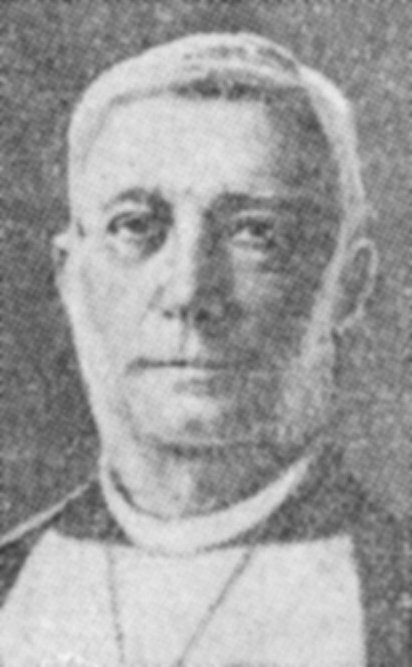 Rosengarten’s many civic activities included service on the Board of Managers of the Philadelphia House of Refuge, as a trustee of both Drexel University and of the University of Pennsylvania (1896-1918), and as president of the Free Library of Philadelphia and also of the University of Pennsylvania Alumni Society. As a collector of books as well as a translator and author of historical articles, Rosengarten took a special interest in Penn’s University Library. Because he so actively promoted its development and made many generous donations to this library, students today still read their reserve books in the Rosengarten section of Van Pelt Library.